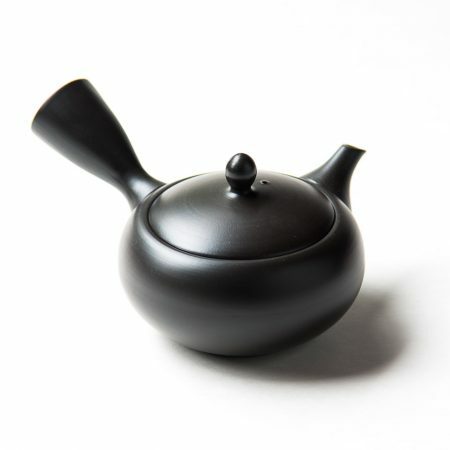 This Black clay Tokoname tea pot is made from natural red clay, oxidized in a kiln during final fire to add black finish. 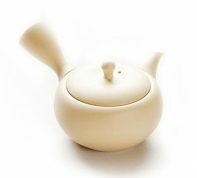 Traditionally red clay from Tokoname region is used for tea pot because the red clay can hold water without glaze and it has an excellent quality for brewing green tea. 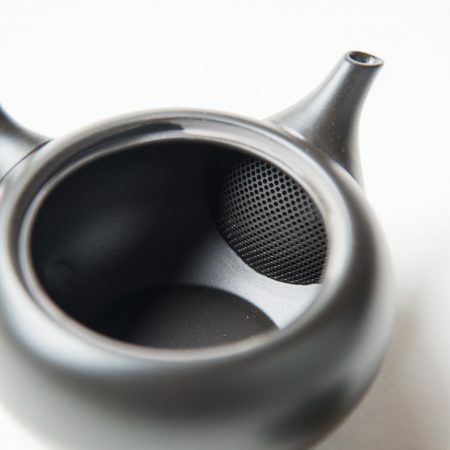 Unglazed finish retains tiny pores in the tea pot and makes tea taste milder. Good balance of the construction of the tea pot allows you to balance itself on the handle. 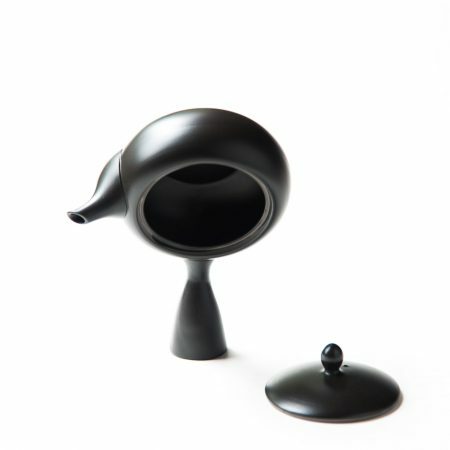 Taka: This tea pot is one of my favorite for casual use for green tea. 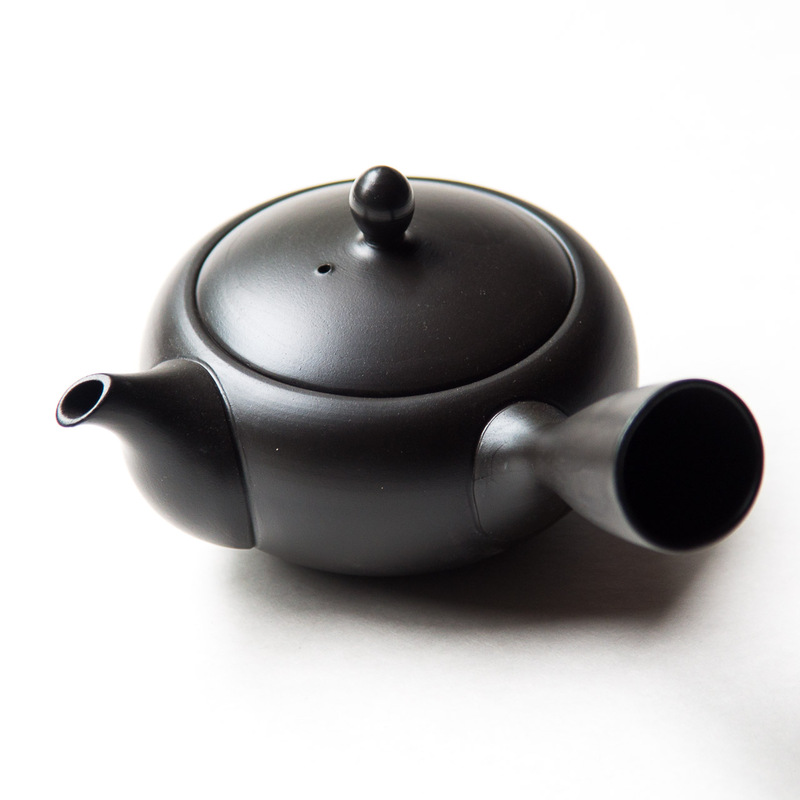 I have a few of these I use in a regular basis as well as other black Tokoname pots. It has nice smooth feel on the surface and feel like it cleans easy. 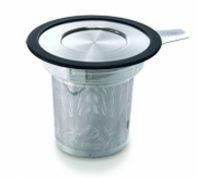 I like my tea pot to drain smoothly and precisely, yet build more sturdy. I am not as careful at handling a tea pot as I think. 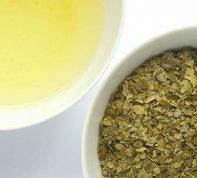 There are some tea pots that are too thin to handle casually or too dense and heavy to feel the movement of water in the tea pot. I also like the fact that the black finish disguises tannin stains from repeated use. 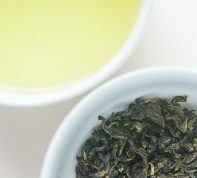 I like stain on a tea pot in general because it starts to add an extra layer of character to the tea I’m enjoying (or at least I like to think so), but with heavy use it starts to look a bit too much. 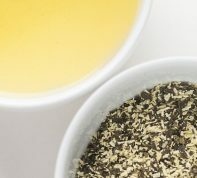 When I see some heavily stained creme colored tea pot, even though I know that it comes from repeated good use, but still feels a small degree of aversion. One of my black Tokoname pot got chipped and revealed its inner color of red clay. It’s always the tip of the spout that get chipped. That’s why they come with a little plastic piece covering it in shipping. 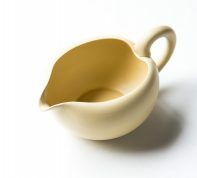 If you want it really durable, then choose porcelain. Otherwise, take a deep breath, be mindful and enjoy delicate art of Tokoname clay pot.